Over the past few years we've seen the rise (and fall) of monthly beauty box subscriptions. A little treat each month, these have proved to be really popular. 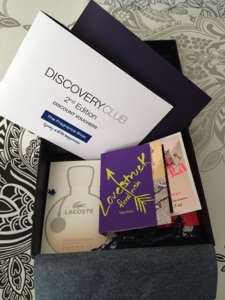 The Fragrance Shop have recently started a new fragrance discovery box*. These come out quarterly rather than monthly and include 5 perfume samples, plus a book of discounts (totaling £25) to spend on the perfumes inside. The box costs £5 each quarter and contains small sample vials. 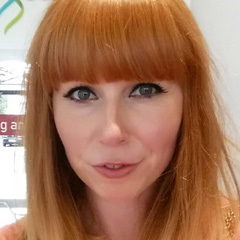 I was quite impressed with the selection of fragrances inside - they included a selection from different brands including Vera Wang, Lacoste and Juicy Couture. I was a little disappointed not to receive at least one larger size sample in the box. I really like the concept of the box but I think that 5 vials that you can often pick up for free is a little stingy. Perhaps 3 sample vials and 2 larger samples would make this box better value for money. That said, I think this would make an excellent present. 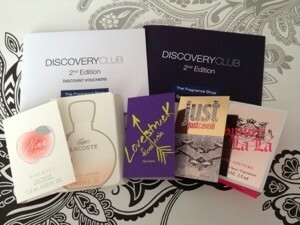 You could give the box to your chosen recipient and let them choose one of the perfumes from the box, and then purchase that for them as a gift. All in all, I feel a little on the fence. 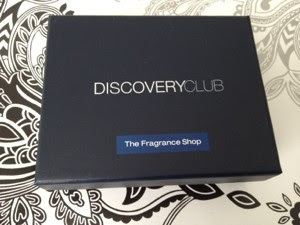 I'm not sure I would sign up for this service, mostly because I don't buy fragrances very often, but if you're a perfume fiend then this is definitely a good way to find new ones, plus get a discount if you find one that you like. I completely agree than 2 larger samples would be more appropiate, this isn't worth the money, but it is a nice idea! i never heard of this before, looks like a good idea!